The Intel Xeon E5-2403 1.80 GHz Processor is equipped with 4 cores and 4 threads and can be installed in the LGA1356 socket. It provides a processing speed of 1.80 GHz and is built on the 32 nm process technology. 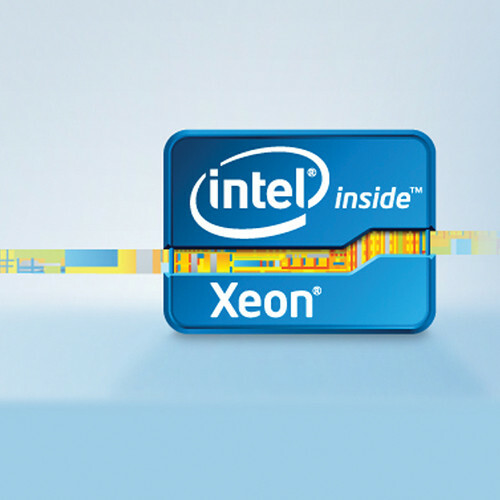 The Intel Xeon E5-2403 Processor also features advanced technologies such as Intel vPro technology, Intel Virtualization technology, Intel Trusted Execution technology and more. 4) Remote and local monitoring, remediation and repair of PCs and workstations. Intel Virtualization technology allows a single hardware platform to function as multiple virtual platforms. It limits downtime and maintains productivity by isolating computing activities into separate partitions, thus offering improved manageability. Intel Virtualization technology for Directed I/O (VT-d) continues from the existing support for IA-32 (VT-x) and Itanium processor (VT-i) virtualization, adding new support for I/O-device virtualization. Intel VT-d can help improve security and reliability of systems as well as performance of I/O devices in virtualized environments. Intel Trusted Execution technology provides a versatile set of hardware extensions to Intel processors and chipsets that enhance the digital office platform with security capabilities, such as measured launch and protected execution, for safer computing. It provides an environment where applications can run within their own space, protected from all the other software on the system. Advanced Encryption Standard New Instructions is a set of instructions that enables fast and secure data encryption and decryption. AES-NI is valuable for a wide range of cryptographic applications, such as applications that perform bulk encryption/decryption, authentication, random number generation and authenticated encryption. Intel 64 architecture delivers 64-bit computing on server, workstation, desktop and mobile platforms when combined with supporting software. It improves performance by allowing systems to address more than 4 GB of both virtual and physical memory. Idle States (C-states) are used to save power when the processor is idle. C0, the operational state, indicates that the CPU is performing useful tasks. C1 is the first idle state, C2 the second and so on, where more power-saving actions are taken for numerically higher C-states. Enhanced Intel SpeedStep technology is an advanced means of enabling high performance while meeting the power conservation needs of mobile systems. Conventional Intel SpeedStep technology switches both voltage and frequency in tandem between high and low levels in response to processor load. Enhanced Intel SpeedStep technology builds upon that architecture using design strategies such as separation between voltage and frequency changes and clock partitioning and recovery. Intel Demand-Based Switching is a power management technology in which the applied voltage and clock speed of a microprocessor are kept at minimum necessary levels until more processing power is required. Thermal Monitoring technologies protect the processor package and the system from thermal failure through several thermal management features. An on-die Digital Thermal Sensor (DTS) detects the core's temperature. In addition, these thermal management features reduce the package power consumption and thereby temperature when required, in order to remain within normal operating limits. Intel Flex Memory Access facilitates easier upgrades by allowing different memory sizes to be populated and remain in dual-channel mode. Execute Disable Bit is a hardware-based security feature that can reduce exposure to viruses and malicious code attacks. It also prevents harmful software from executing and propagating on the server or the network. Intel VT-x with Extended Page Tables, also known as Second Level Address Translation (SLAT), provides acceleration for memory-intensive virtualized applications. Extended Page Tables in Intel Virtualization technology platforms reduce the memory and power overhead costs and increase the battery life through hardware optimization of page table management.